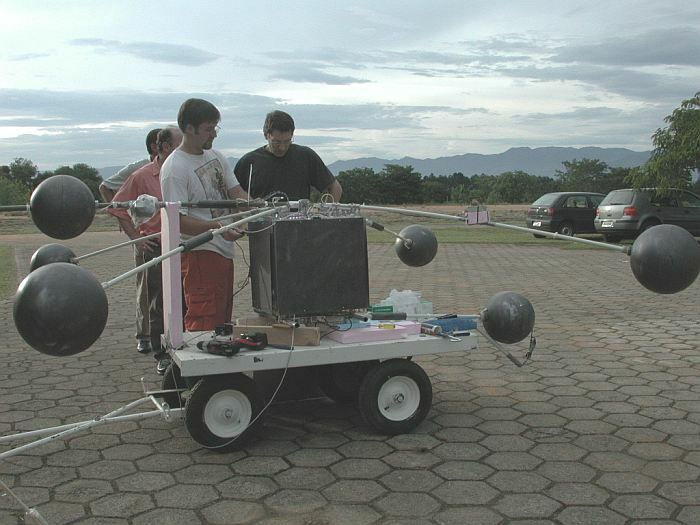 The payload contained Low and High voltage electric field probes, magnetic search coils for a vector B-field measurement, x-ray detectors, one pointing up and one pointing down and two optical lightning detectors, one pointing up and one pointing down. 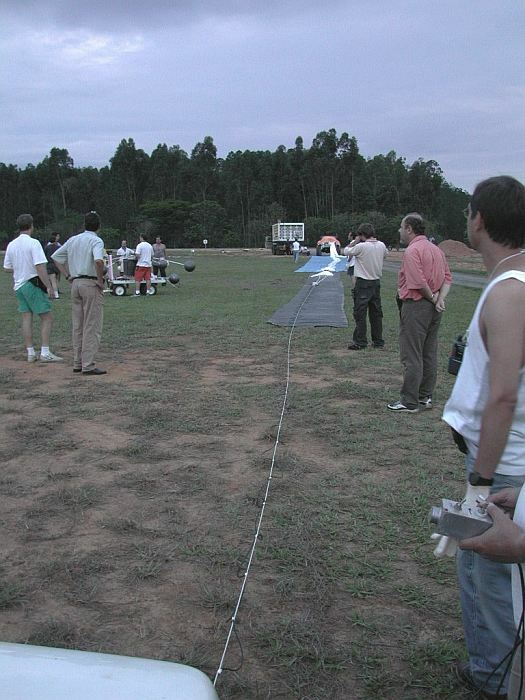 The balloon was launched at 20:00 local time, on december 6th 2002. At about 21:30 the balloon reached its float altitude of about 34km and was heading towards a large thundercloud. For about 1 hour it was flying directly over this thunderstorm. The flight was terminated near 11AM local time when was activated the onboard timer and the payload was cutdown. 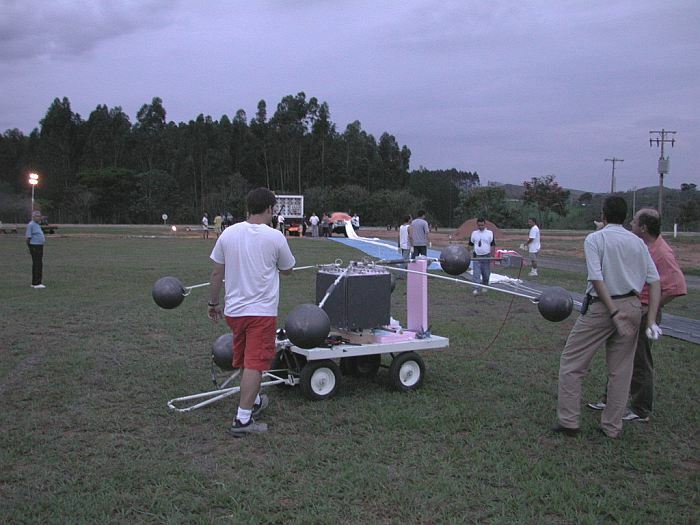 During this flight the balloon was directly over a thunderstorm thus making excellent measurements of electromagnetic fields.